Katie Atkinson is born with multiple facial differences. Despite all the challenges, Katie has grown into an intelligent, talented young lady, and her facial differences are not the only thing that define her as a person. A letter to a woman, now lost. Anna is always picked on by a trio of bullies. She captures and keeps a baby t-rex that had wandered into the schoolyard after observing its power to scare the bullies away. Tessa Smith, a two time cancer survivor and amputee, share her inspirational story of hope and the positive outlook on life. Ali is a Pakistani teenager caught between his angry and socially awkward best friend a girl at his school who he's fallen in love with. A down-on-her-luck, middle-aged nurse spends one fateful night with her young patient when he decides to run away from the hospital. Starring Connor Price (Being Human). A greedy thief tries to break in to a house and is confronted by the guardian. Alesia gives Ramón a card with three warnings, and a reminder that José will never love him. A neurotic Mormon and a conflicted Jehovah’s Witness compete in expressing their religious beliefs at the doorstep of an unsuspecting stranger. Sam, an android employed to create motion pictures, discovers what it means to be human through his original film. Winner of Best Production at the 2015 Ryerson University Film Festival. A young father reflects on life as a parent, and the impact of his own childhood. Winner of the Royal Reel Award at the Canada International Film Festival. Deep in the forest, an injured hunter searches for his family who are being hunted by a supernatural force. A man finds that when he suppresses his primal urges, they happen to manifest in new and interesting ways. A provocative piece that tackles the simple truth as to why world hunger exists. Winner of the 2014 Adobe Youth Voices Animation Award. When her roommate, Jena, doesn't return home from a party one night, Sloane struggles to contain the anxiety building inside her until her frustrations with her workplace boil over. After their parents are killed in a car accident, 22 year old Kelly Turner finds herself in the overwhelming position of being the sole caregiver for Jesse, her older brother who has autism. Starring Jake Epstein (Degrassi). After accidentally knocking Michael over in the cafeteria, Mia seeks a cow with special powers to replace his chocolate milk. A greedy badger wants to take a gem from a hardworking mole. Phoebe Cornell goes through the day avoiding boys' unwanted come-ons. Starring Sara Waisglass (Degrassi). Winner of Best Director at 2015 Zoom Film Festival. Seleziya "Sparx" Esho is a Canadian professional wrestler with an emotional divide between her obsession and love of the sport and the physical mental strain it puts on her body and family. Peter arrives for his first day of school with one thing on his mind; girls. Peter's Brain and other body parts work together inside Head Control to help him win her over. Two friends reconnect unexpectedly in a coffee shop after several years of distance. A miserable cup copes with not being able to play toy straws with anyone as a child. Winner of Best Animation at the 2015 Zoom Film Festival. Based on the Japanese legend, Tanabata depicts two star-crossed lovers uniting once a year on July 7th. Winner of Best Animation at the 2015 Toronto Student Film Festival. A girl reflects on the time when she was content with her life and compares it with her present. 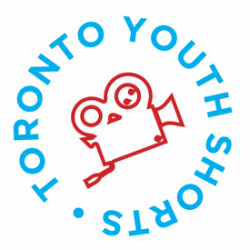 Winner of People's Choice at the 2015 Mississauga Youth Film Festival. An examination of the human species' habitat and how they've made the land their own. Inspired by the works of Jonas Odell, 'White Lines' follows the true story of a fourteen year old boy's addiction to cocaine.